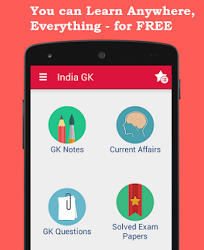 7th January 2016 Current Affairs MCQs, Quiz, Questions: Current Affairs for January 2016, Daily Multiple Choice Questions (MCQs) for India GK, World GK and current affairs with Collection of daily objective type Question by www.Indiagk.net based on General Knowledge (GK) and General Science (GS) Questions for UPSC, State PSC, SSC, Police exam, Railway exam, SBI, Bank PO, IBPC, SSC, LDC, UDC, Army, Airforce, Navy, Coast Guard, Bank Clerk, TET and all entrance examination with current affairs News, Multiple Choice Questions (MCQs) available on Website www.IndiaGK.net and Android Apps with daily updates:. Union Cabinet approves which Scheme for women and SC/ST entrepreneurs on 6th January 2016 ? Explanation: Union Cabinet has approved the Stand Up India Scheme to promote entrepreneurship among Scheduled Caste/Scheduled Tribes (SC/ST) and Women entrepreneurs. Decision in this regard was taken by Union Cabinet meeting chaired by the Prime Minister Narendra Modi in New Delhi. The Scheme seeks to facilitate at least two such projects on an average one for each category of entrepreneur per bank branch. The Stand-up India is component of Start-up India, Stand up India slogan anchored by Department of Financial Services (DFS) to encourage greenfield enterprises by Women and SC/ST entrepreneurs. Which indian shooter broke world record to win gold at Swedish Cup Grand Prix ? Explanation: Indian shooter Apurvi Chandela broke the world record on 5 January 2016 to grab a gold medal in the women's 10 metre air rifle event at the Swedish Cup Grand Prix. Chandela shot 211.2 in the event held at Savsjo Shooting Centre to outshine the feat of Chinese Olympic gold medallist Yi Siling, who held the record with 211. On the other hand, Swedish shooters Astrid Steffensen and Stine Nielsen won the silver and bronze, respectively. Mufti Mohammad Sayeed, who passes away on 7th January 2015 was CM of which Indian state ? Exmplanation: Jammu & Kashmir Chief Minister Mufti Mohammad Sayeed passed away on Thursday morning after prolonged illness. He was on ventilator support at AIIMS in New Delhi. The 79-year-old leader who founded the Jammu and Kashmir Peoples Democratic Party had been admitted to the AIIMS with complaints of severe fever and neck pain. Emergency meeting of UN Security Council over Nuclear test conducted by which countyr ? Exmplanation: Emergency meeting of UN Security Council over North Korea. Terming the nuclear test conducted by North Korea as a clear threat to international peace and security, the UN Security Council has warned that it will impose new sanctions against North Korea. The 15-nation Security Council, including China, held urgent consultations to address evolving situation after the nuclear tests. The UNSC members condemned the test, saying it was a clear violation of Security Council resolutions.